My friend Steve Perras posted a picture on Facebook the other day of himself and his wife, Judy, in Paris, and it bothered me. In fact, it still does. There’s an element of envy in it, but it’s not that simple. In fact, I’m happy for them. Although I see them only once a year these days, I still consider them dear friends. Steve is a talented and good-hearted guy, and they work hard at their real-estate business. As Steve notes on Facebook, this is his first time abroad, and he is “Enchanted.” Good for him. He deserves it. What bothers me is not that I’m not with them, but that in the past few years financial concerns have kept me from making trips to France and India, and two trips to Italy. Each time I said “No” instead of “Yes,” it pained me. And in two of those instances, I would have been traveling with my brothers, and that made it even more painful. What I saw that day was Steve’s mask, the face he put on for public consumption, and I decided he wasn’t trustworthy. But a few years later that I unexpectedly caught sight of my own public mask in a mirror, and it infuriated and appalled me. That wasn’t the “me” I thought I was. I wasn’t trustworthy, either. By that time Steve and I had become good friends. We did so many things together with that group that I began to learn how to be a better person, a better friend, a better father, and a better brother. When I saw Steve last fall at a party, I was so happy I kissed him — on the cheek! — just as I do with my brothers. So the thought the other day, “Damn! Perras is in Paris!” was a reality check. In the old days, I would have been envious, because although I’ve been to Europe a few times, I’ve never been to Paris. I’ve always romanticized the place and thought I would go when I was with that special woman. I still feel that way. The challenge is that I grew up with so much shame and self-doubt that I didn’t believe I deserved to be happy. The result of that thinking has been a world of trouble around finances and romances, and it’s why I haven’t made that special trip to Paris. Subconsciously I didn’t believe I deserved it. But I know better now. I’ve worked hard to find my way out of the darkness and into the light. I know now that I do deserve happiness — and even to be “enchanted” once in a while. But turning that understanding into action is not easy. The old beliefs are deeply rooted. 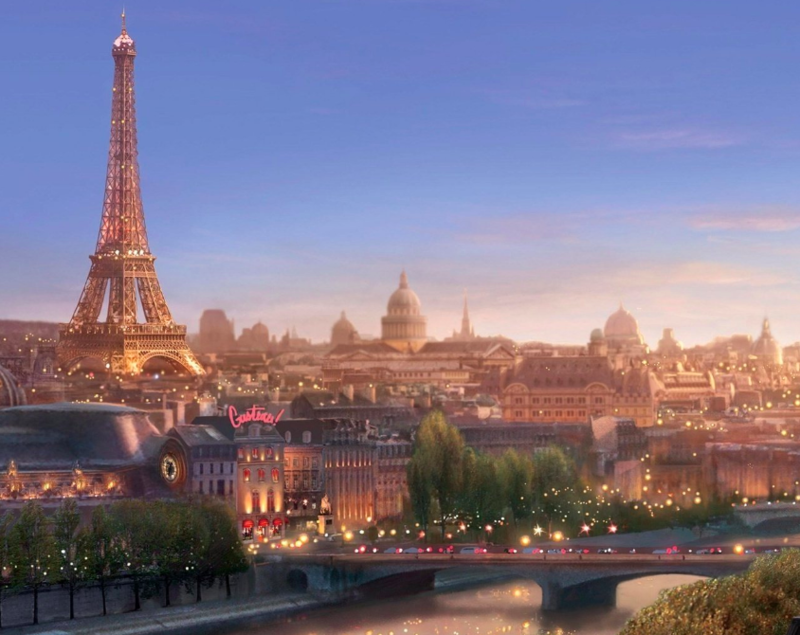 Paris became known as “the city of light” during the Age of Enlightenment in the 18th century. Steve’s post reminds me that whatever the seeming obstacles, I cannot and must not give up. I don’t want or envy his happiness, I want my own. If anything, his good fortune reminds me to double down and be even more intentional about my own. Paris is waiting. This entry was posted in Uncategorized and tagged envy, friends, good fortune, light, men, Paris on June 25, 2018 by John Christensen.